The Metropolitan Museum of Art have announced their new Costume Institute exhibition, and the theme which will underpin the Met Gala 2017. The exhibition will honour Rei Kawakubo, the iconic designer of Comme des Garçons, and is their first exhibition honouring a living designer since their Yves Saint Laurent exhibition in 1983. The exhibition is titled ‘The Art of the In-Between’, and the staging consists of designs with contrasting themes placed together, in order to demonstrate the dualisms of Kawakubo’s work. Chaired by Anna Wintour, with Katy Perry and Pharrell Williams acting as the 2017 co-chairs, the Met Gala offers some of the most high-fashion, conceptual moments for celebrity styling. 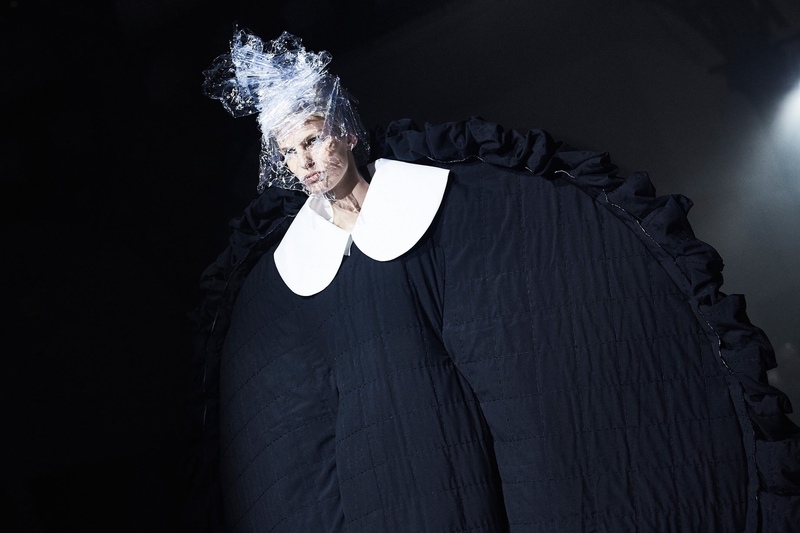 Last years’ Manus x Machina exhibit offered plenty of opportunities for glamour, but Kawakubo’s rejection of female objectification through fashion and avant-garde designs will be an intriguing sartorial challenge in terms of celebrity styling. Since founding Comme des Garçons in 1973, Kawakubo has continued to push the boundaries of fashion and is notable for her unique visions and original design concepts which challenged the traditional concepts of good design. Her garments defy being flattering, or concerned with fit, and Kawakubo once famously said ‘Personally, I don’t care about function at all.’ Often Kawakubo’s designs create the illusion of out of proportion bodies, such as in her Dress Meets Body, Body Meets Dress 1997 collection. Despite her radical, unconventional designs, Comme des Garçons has been a highly successful company, and has aided new designers such as Junya Watanabe and Gosha Rubchinskiy in the launch and operation of their labels. Kawakubo is renowned for her creative input in all aspects of the business, including advertising and store architecture. Unsurprisingly, Kawakubo assisted in designing the area of the Museum which will house the exhibition, and said ‘I would find it impossible to see my clothes in a space designed by someone else.’ The space is minimalist, with strong architectural forms such as arches and podiums, as well as a glass box suspended six metres above the floor. While usually the Costume Institute exhibition pieces are housed behind barriers and glass; Kawakubo’s show lacks all of this, and there are no plaques explaining designs, just a brochure with text available for viewers.